"I have some spa-ing, volunteering, and brunching I am trying to work in my schedule while you are conferencing." La-ti-dah, I wish every weekend was like the one coming up. The funniest part is I am most looking forward to the TSM's (total sorority move's) Keiper and I are going to pull out on the town than my other three activities. I take that back, spending time behind two red doors at the Willard will be pretty darn fantastic. Actually I can't really complain about this past weekend either, it was awesome. Let's talk about how beyond amazing is is to lounge in our new king size bed - "stay on your side," a new phrase shared by Josh and myself while basking in our own pillow-topped spots. Breakfast at our favorite local-organic diner, I've decied true happiness lies somewhere between their fuffy buttermilk pancakes and gigantic mugs of coffee. Then celebrating the birthday of my very favorite two-year-old. 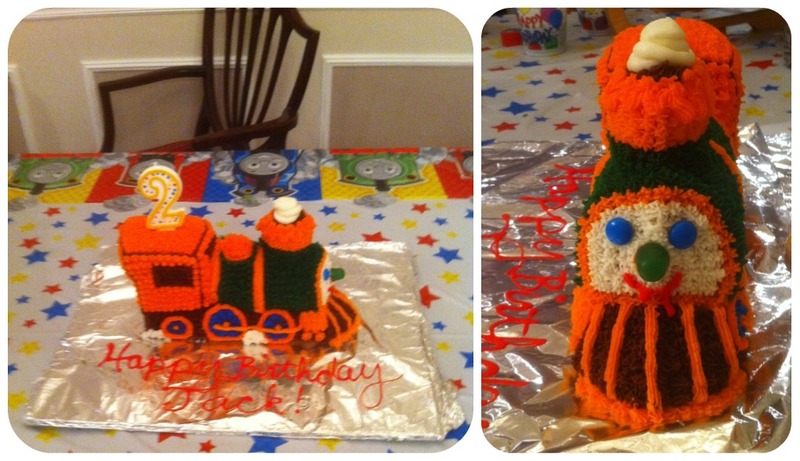 I'm sure Jen never imagined 12 or so year ago that the girl who lived next to her in the dorm would be coating chocolate-dipped pretzel rods in sprinkles and customizing her son's choo-choo train t-shirt before his second birthday party, but folks that's the woman I've become. And I'm loving every customitzed choo-choo train second of it. But she did, and I did. Lesson learned - she doesn't mess when it comes to birthday parties, and I don't mess when it comes to helping with last minute prep, loading the dishwasher, or cheese-well actually neughter of us mess when it comes to cheese. 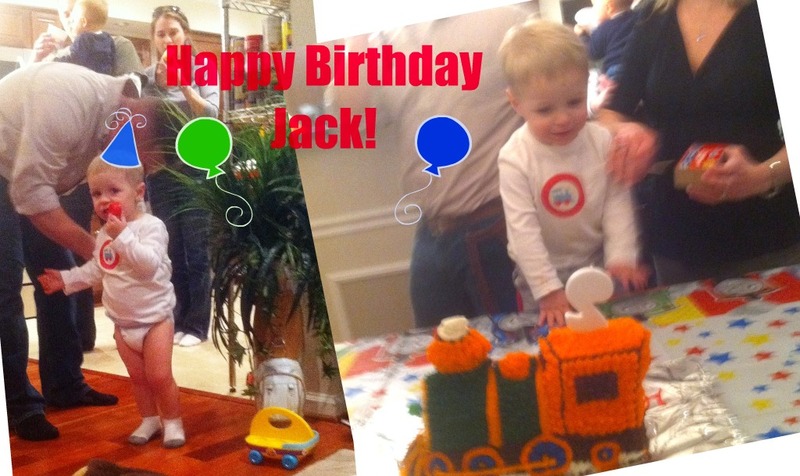 Favorite moments of Jack's Choo-Choo train bononza. Blowing out the candle and when he decided to go frank the tank on us and went streaking. Hey-it's his party, he can take off his pants if he wants to. Menu Monday is in sad shape this week. We are making a big batch of chili and seeing how long we can live off it this week. I'll let you know how it goes, and who breaks from the chili and salad diet first. Isn't it great to have those lasting friendships. My besties are my pledge sister and across the hall neighbor freshman year and a little sis. That party looks adorable! 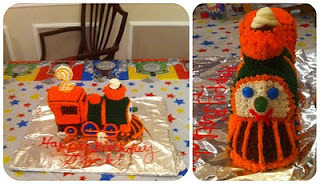 Love the choo-choo cake! How fun is it that you still are in touch with all those good friends from your sorority days!